Facebook “has decided not to unveil” its line of connected home speakers, which boast digital assistant and video-chat capabilities, at its developer conference in May because too many people have wised up to the fact said products will probably turn their homes into Mark Zuckerberg-surveilled Panopticons, Bloomberg reported. According to Bloomberg, Facebook has decided that the ongoing fallout of the ongoing Cambridge Analytica data scandal—in which the shady election data firm partnered with an app to build “psychometric profiles” on 50 million users without their consent—is the wrong time to move forward with the products. Zuckerberg has been called to testify before Congress over the incident, and may find himself hard-pressed to explain why Facebook let app developers access extensive data on users who hadn’t willingly sharing it. The Federal Trade Commission is also reportedly investigating whether company’s practices constitute a violation of a 2011 regulatory agreement, something that could result in staggering fines. The devices are part of Facebook’s plan to become more intimately involved with users’ everyday social lives, using artificial intelligence — following a path forged by Amazon.com Inc. and its Echo in-home smart speakers. The Bloomberg report also mentioned that Facebook had “already found in focus-group testing” that users were wary of a “Facebook-branded device in their living rooms,” which... well, duh. It’s unlikely the recent spate of very bad PR, which could get worse if Zuckerberg does poorly during whatever congressional hearings he might eventually end up speaking at or Facebook reveals firms other than Cambridge Analytica have absconded with user data, which it has already admitted is likely. In any case, connected smart speakers whose purpose is at least partially to harvest user data are already a slightly concerning proposition, and it’s pretty clear that Facebook in particular is treading on thin ice. 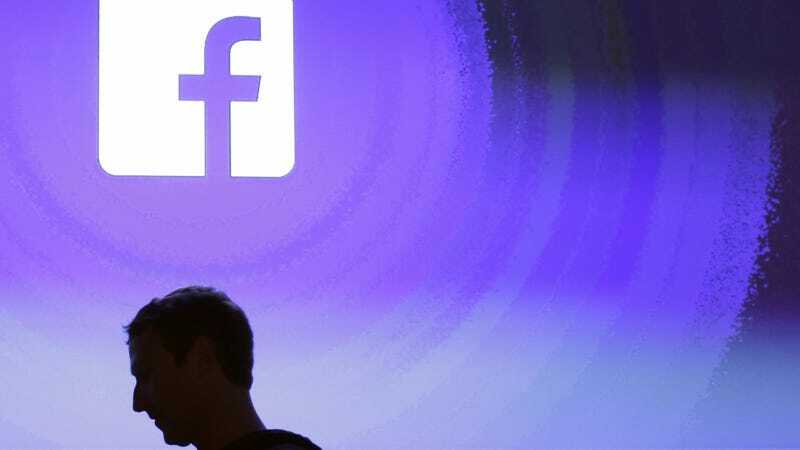 While it says that new privacy rules will be announced at the May developer’s conference, Facebook has lost about $80 billion in market value since the Cambridge Analytica scandal broke, per CNBC, or roughly 18 percent.